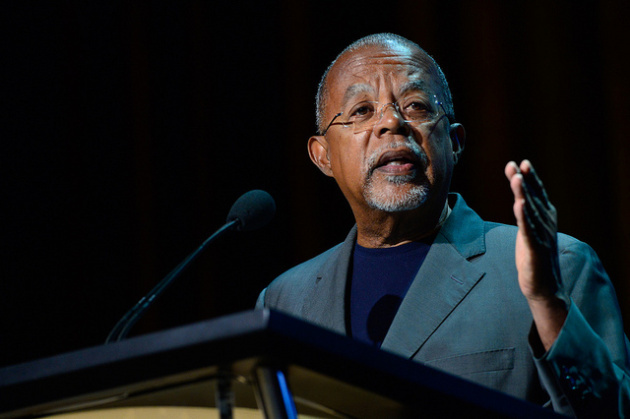 This fall, noted Harvard scholar Henry Louis Gates, Jr. recounts the full trajectory of African-American history in his groundbreaking new six-part series The African Americans: Many Rivers to Cross with Henry Louis Gates, Jr. premiering Tuesdays, October 22, 29 – November 5, 12, 19 and 26, 2013, 8-9 p.m. ET on PBS (check local listings). Written and presented by Professor Gates, the six-hour series explores the evolution of the African-American people, as well as the multiplicity of cultural institutions, political strategies, and religious and social perspectives they developed — forging their own history, culture and society against unimaginable odds. Commencing with the origins of slavery in Africa, the series moves through five centuries of remarkable historic events right up to the present — when America is led by a black president, yet remains a nation deeply divided by race. Professor Gates travels throughout the United States, taking viewers on an engaging journey through history. He visits key historical sites, partakes in lively debates with some of America’s top historians and interviews living eyewitnesses — including school integration pioneers Ruby Bridges and Charlayne Hunter-Gault, former Black Panther Kathleen Neal Cleaver, former Secretary of State Colin Powell, and many more. Throughout the course of the series, viewers will see that the road to freedom for black people in America was not linear, but more like the course of a river, full of loops and eddies, slowing, and occasionally reversing the current of progress. Below are brief overviews of each episode in this six-part series. Tuesday, October 22, 8-9 p.m.
•The Black Atlantic explores the truly global experiences that created the African-American people. Beginning a full century before the first documented "20-and-odd" slaves who arrived at Jamestown, Virginia, the episode portrays the earliest Africans, both slave and free, who arrived on these shores. But the transatlantic slave trade would soon become a vast empire connecting three continents. Through stories of individuals caught in its web, like a 10-year-old girl named Priscilla who was transported from Sierra Leone to South Carolina in the mid-18th century, we trace the emergence of plantation slavery in the American South. The late 18th century saw a global explosion of freedom movements, and The Black Atlantic examines what that Era of Revolutions — American, French and Haitian — would mean for African Americans and for slavery in America. Tuesday, October 29, 8-9 p.m.
•The Age of Slavery illustrates how black lives changed dramatically in the aftermath of the American Revolution. For free black people in places like Philadelphia, these years were a time of tremendous opportunity. But for most African Americans, this era represented a new nadir. King Cotton fueled the rapid expansion of slavery into new territories, and a Second Middle Passage forcibly relocated African Americans from the Upper South into the Deep South. Yet as slavery intensified, so did resistance. From individual acts to mass rebellions, African Americans demonstrated their determination to undermine and ultimately eradicate slavery in every state in the nation. Courageous individuals, such as Harriet Tubman, Richard Allen and Frederick Douglass, played a crucial role in forcing the issue of slavery to the forefront of national politics, helping to create the momentum that would eventually bring the country to war. Tuesday, November 5, 8-9 p.m.
•Into the Fire examines the most tumultuous and consequential period in African-American history: the Civil War and the end of slavery, and Reconstruction's thrilling but tragically brief "moment in the sun." From the beginning, African Americans were agents of their own liberation — forcing the Union to confront the issue of slavery by fleeing the plantations, and taking up arms to serve with honor in the United States Colored Troops. After Emancipation, African Americans sought to realize the promise of freedom — rebuilding families shattered by slavery; demanding economic, political and civil rights; even winning elected office. Just a few years later, however, an intransigent South mounted a swift and vicious campaign of terror to restore white supremacy and roll back African-American rights. Yet the achievements of Reconstruction would remain very much alive in the collective memory of the African-American community. Tuesday, November 12, 8-9 p.m.
•Making a Way Out of No Way portrays the Jim Crow era, when African Americans struggled to build their own worlds within the harsh, narrow confines of segregation. At the turn of the 20th century, a steady stream of African Americans left the South, fleeing the threat of racial violence, and searching for better opportunities in the North and the West. Leaders like Ida B. Wells, W.E.B. Du Bois, Booker T. Washington and Marcus Garvey organized, offering vastly different strategies to further black empowerment and equality. Yet successful black institutions and individuals were always at risk. At the same time, the ascendance of black arts and culture showed that a community with a strong identity and sense of pride was taking hold in spite of Jim Crow. "The Harlem Renaissance" would not only redefine how America saw African Americans, but how African Americans saw themselves. Tuesday, November 19, 8-9 p.m.
•Rise! examines the long road to civil rights, when the deep contradictions in American society finally became unsustainable. Beginning in World War II, African Americans who helped fight fascism abroad came home to face the same old racial violence. But this time, mass media — from print to radio and TV — broadcast that injustice to the world, planting seeds of resistance. And the success of black entrepreneurs and entertainers fueled African-American hopes and dreams. In December 1955, Rosa Parks refused to give up her seat to a white man on a city bus in Montgomery, Alabama, heralding the dawn of a new movement of quiet resistance, with the Reverend Dr. Martin Luther King, Jr. as its public face. Before long, masses of African Americans practiced this nonviolent approach at great personal risk to integrate public schools, lunch counters and more. As the civil rights movement scored one historic victory after another, non-violence was still all too often met with violence — until finally, enough was enough. By 1968, Dr. King, the apostle of non-violence, would be assassinated, unleashing a new call for "Black Power" across the country. Tuesday, November 26, 8-9 p.m.
•After 1968, African Americans set out to build a bright new future on the foundation of the civil rights movement's victories, but a growing class disparity threatened to split the black community in two. As hundreds of African Americans won political office across the country and the black middle class made unprecedented progress, larger economic and political forces isolated the black urban poor in the inner cities, vulnerable to new social ills and an epidemic of incarceration. Yet African Americans of all backgrounds came together to support Illinois' Senator Barack Obama in his historic campaign for the presidency of the United States. When he won in 2008, many hoped that America had finally transcended race and racism. By the time of his second victory, it was clear that many issues, including true racial equality, remain to be resolved. Now we ask: How will African Americans help redefine the United States in the years to come? The African Americans: Many Rivers to Cross is the centerpiece of a multiplatform project including educational outreach events, a robust website, social media, and a companion book. Accompanying the broadcast is an ambitious national outreach initiative to extend the impact, utilization, and "life after broadcast" of the series, which will include development of digital educational resources, an educational poster and an educator's premium. The initiative will also include partnerships with PBS stations across the country, which will produce local broadcasts and host live professional development workshops. The African Americans: Many Rivers to Cross' website (http://www.pbs.org/wnet/african-americans-many-rivers-to-cross/) will include video from the series, including all six full episodes for a limited run, as well as scenes not included in the films. In addition to video, the website will elaborate on and explore the rich history covered in the series with text, timelines, images and other multimedia; include a collection of graphics featuring quotations from well-known African-Americans for individuals to share on a number of social media platforms; feature a blog by Gates that highlights 100 interesting and unexpected facts from African-American history; and invite viewers to submit and browse stories about and reactions to significant moments in history. The website will offer visitors the chance to personalize their experience and share series content on social platforms.